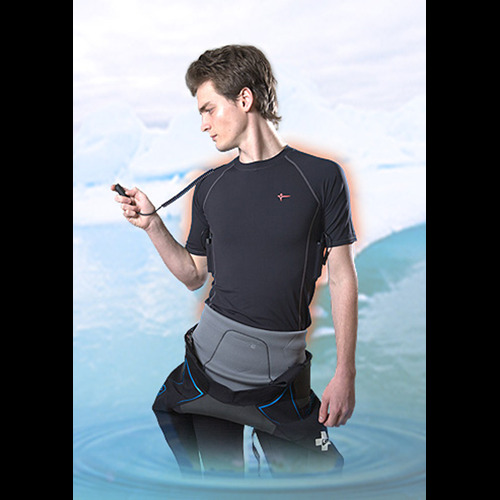 The Thermalution 15 m Surf Series is a battery-heated, short sleeve thermal vest made from a premium blend of nylon and lycra and can be worn under a wet suit or even a winter jacket. The ThermalTek® heating elements incorporated into the back panel is powered by two 7.4 volt 2.2 Ah lithium polymer batteries and heats up in under a minute to keep you warm and comfortable in the water for up to 2 hours. Perfect for water sports like surfing, snorkelling, kayaking and kiteboarding or even land-based sports like skiing, snowboarding and fishing, this suit will change the way you feel about going out on a brisk winter day. Includes: Power-heated vest, 2 batteries, charger and controller. Perfect for water sports like surfing, snorkelling, kayaking and kiteboarding or even land-based sports like skiing, snowboarding and fishing, this suit will change the way you feel about going out on a brisk winter day. 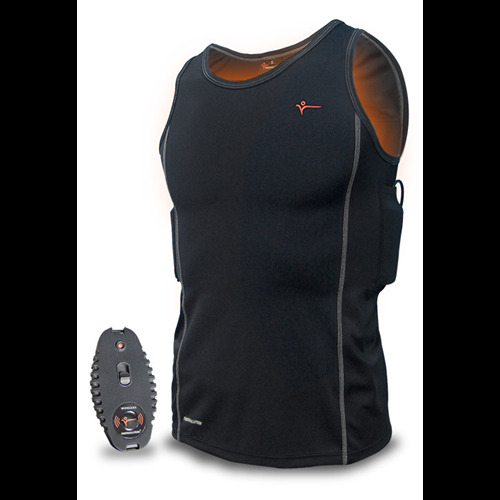 Includes: Power-heated vest, battery, charger and controller. 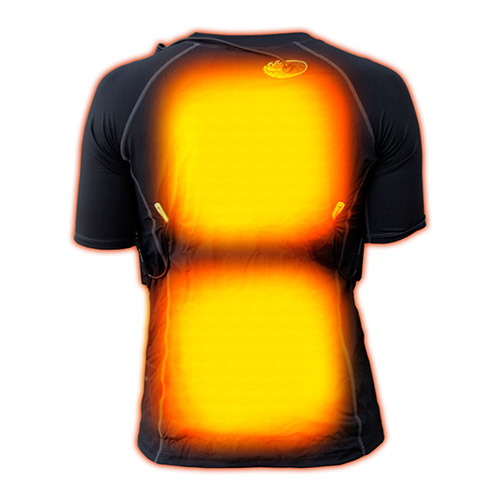 Thermalution utilises some of the most advanced functional fabric, up-to-date design and Thermalution's own ThermalTek® non-metallic heating wire technology that generates heat and warms up the blood using Far Infrared light. ThermalTek® is a non-metallic, state-of-the-art heating fibre. It possesses high heat transfer efficiency, low energy consumption and generates Far Infrared (FIR) light which is beneficial to the human body while only emitting low Electromagnetic Interference (EMI). 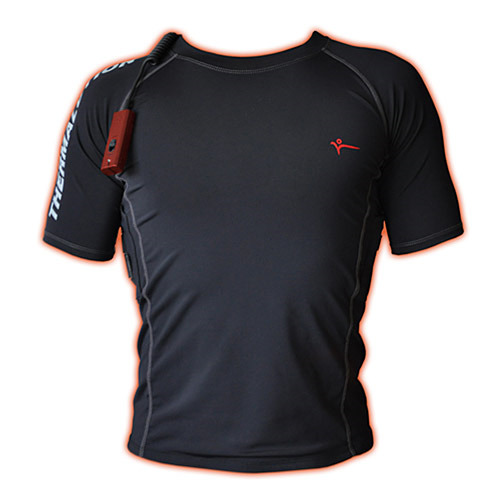 Thermalution uses Far Infrared light which doesn't just heat your skin like many other products. Thermalution actually heats deep within your core, giving you improved blood circulation, enhanced cell and tissue regeneration, pain relief and comfort to the entire body. You will be amazed at how much more comfortable you will feel even at the lowest of three heat settings. Once you dive in a Thermalution you won't ever want to venture into the water without one! Far Infrared (FIR) light is a spectrum of natural light with a wavelength of 4 – 1000 microns. It is invisible to the human eye. The National Aeronautics and Space Administration (NASA) pointed out that FIR with wavelength between 6 – 14 microns is capable of penetrating deep into the human body where they gently elevate the body temperature by resonance. 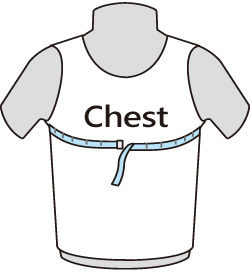 It can accelerate metabolism, improve circulation and provide warmth. Testing of Thermalution products demonstrate that they generate the desired therapeutic FIR with wavelength of between 6 - 14 microns. 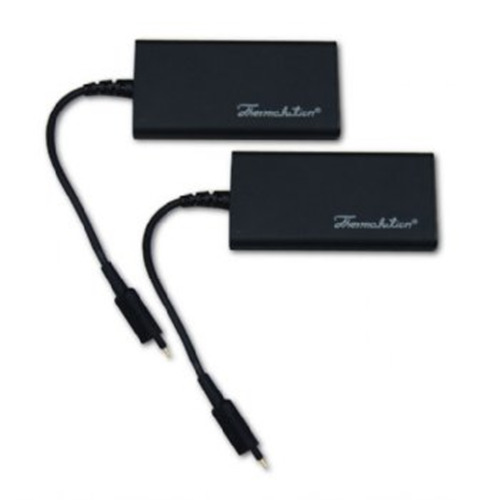 Thermalution power heated modules are tested and certified to CE, TUV, UL and IP waterproof standards. A 12-month limited warranty from the date of purchase against defective components and faulty workmanship of the undersuit (including its heating system, power controller, charger, power adaptor and wireless remote). A 6-months warranty for the Thermalution battery from the date of purchase. In order to optimize the heating performance of the Thermalution, we advise our customers to wear smaller fitted sizes of the Thermalution.